This is a favorite of mine as well. Although this might have been the first Disney movie to use celebrity voices to a GREAT EXTENT, it wasn’t the first overall. Peggy Lee (Lady and the Tramp) was pretty famous as was Cliff Edwards (Pinocchio/Dumbo). Did you know that they originally WANTED the Beatles to voice the characters of the vultures, but they declined? Someone made a joke saying that in the upcoming live-action Disney ‘The Jungle Book’ film, they should make the vultures based on One Direction, ask them to voice the characters, have them say no, and for history to repeat itself, lol. Regarding the female character and everything being “mapped out for her”, I mean, cultures are different and there’ll never be one worldwide universal way a man will act or a woman will act. There will always be cultural differences. And Shanti looks quite happy with her life, so that’s good. Very good points! Thanks. I hadn’t thought of celebrity voices in Lady and the Tramp but I don’t think it was used as a selling point where in the 60s and 70s it became big, but you are right. I’m a secret One Direction fan so I’d love for them to be the vultures but I like your idea too. They are definitely inspired by the British invasion and a lot of fun. Do you agree with me they aren’t that different than the crows in Dumbo but people make a big deal of the crows who are obviously black and the vultures (a much more suspect bottom-feeder bird) get nothing and they are white? Maybe overthinking it but I just don’t think the crows are that bad. The red man song totally justified but if the crows were canary’s singing the exact same song nobody would think about it. Can’t say that with the red man song. I think if there was another feminine character in the movie than I might be more ok with the ending but there is only the female elephant and she isn’t exactly feminine. I’m not some crazy feminist but I just don’t like that the only depiction of femininity is cooking in the home and getting water. Also the instant love trope doesn’t help in adding to that ‘women only good for cooking, cleaning and looking at’. I just feel like Disney in the 60’s and 70s had few women and when they did they are all either divas like Miss Bianca or the Duchess, or objectified for their beauty/work and not who they are. Overthinking it I’m sure but I still really like the movie so it’s a concern that doesn’t keep me from giving it an A grade. It’s funny because feminists often hate Cinderella but I think she is a great example. She works hard. She’s a good friend and it is through her faith and love that she gets her happy ending. She isn’t rescued by the Prince because she is beautiful. She rescues herself. Love that. I guess it all depends on your perspective. Thanks so much for checking out the blog. I will be curious for your thoughts on other entries. It’s an interesting point about the alternate ending. One question- where did you buy the villains editions? I’ve heard about them but don’t see them available. I have the diamond blu ray for jungle book and that has the alternate ending. To be clear I am highly skeptical of the live action remakes just because so many have been bad (mirror mirror, snow white and the huntsman, red riding hood, alice in wonderland are all terrible IMO). I haven’t seen Maleficent. Especially with two Jungle Books coming out at the same time, I worry a repeat of the Snow White disaster is coming. The Cinderella live action I have more hope just because that story has been told a lot of times, so I am not as tied to the animated version. That said, I actually love the Jungle Book alternate ending. As I said in my review, I am not a huge fan of the ‘get the water’ song as it basically says girls serve until they are married and then they cook. If there were other female characters that might not bother me but aside from a brief appearance from the elephant mother there really aren’t. I’m not a raging feminist or anything but I’m just not crazy about that song. Also, the instant love trope is so overused in Disney. I like the story of the hunter and Mowgli finding a home in both the jungle and town. One of the problems modern remakes of the old cartoons have is most of the old films are 75 minutes or under. Most films these days are 120+. This means they have to pad the great original story with added characters and detail, usually weakening it, but since I am not tied to the Jungle Book ending I think the alternate could be good. This way they could keep the original story in tact and add time at the end instead of fluffing the whole movie with unnecessary characters and plotlines. 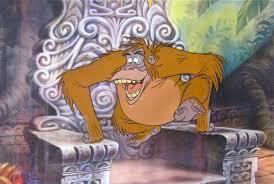 With Jungle Book I think they could actually improve upon some of the animation by using CGI. The sketch style isn’t my favorite but it all depends on how they do it because I hate CGI too. We will see! So while I’m dubious about the project on the whole, I like the idea of using the alternate ending. What do you think? I got it as a gift; think it was from my local asda. I’m also not a huge fan of the live action remakes. I appreciated how aesthetically pleasing Maleficent was but overall I just didn’t really like it. I think for me, the story line just wasn’t quite there. 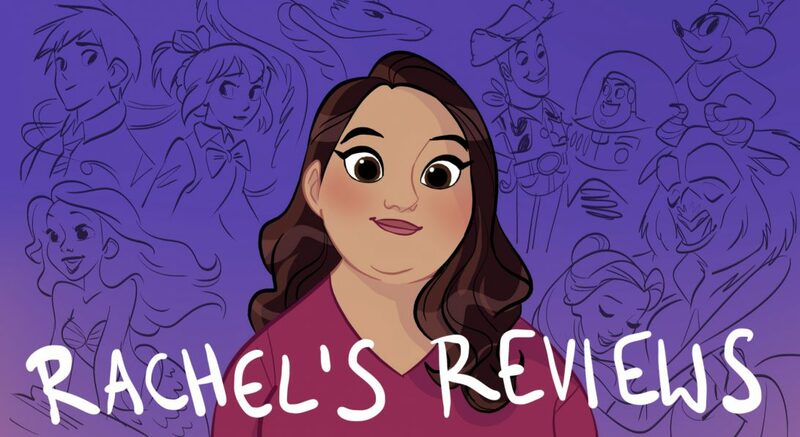 I appreciate Disney are trying to move forward and break away from the Prince and Princess role, but I just wasn’t feeling the story line; that’s a whole other debate altogether though! 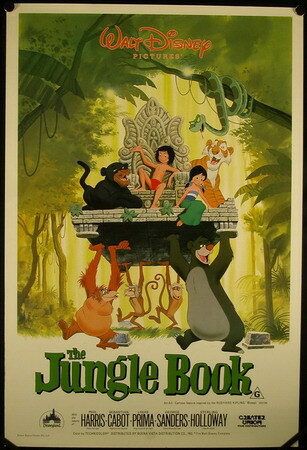 Back to The Jungle Book, I’m also not a fan of the ‘get the water’ song for the same reasons you outlined. I think the alternate ending would be different and interesting to see. I always thought in the film Mowgli is so quick to drop the Jungle despite the whole movie being spent around him not wanting to leave. It would be nice to see more of the merging of his two worlds as an ending! I agree. He’s so transfixed by a girl that he forgets what he literally had faced a tiger for minutes before. That’s so tired. The best thing about the ending is they wouldn’t have to change any of the character’s personalities in order to make the live action film. The Maleficent movie looks very dubious to me because they are changing who she was. I don’t want to soften her . She is basically the devil and when you try to explore and humanize her it just ends up being boring. I didn’t want her softened either. I also didn’t like their take on some of the other characters such as King Stephan. Hope you weren’t offended by my Aristocats review. I have a good friend who loves it too but I just thought it was so derivative of 101 Dalmatians and Lady and the Tramp (with a little Jungle Book thrown in). It’s not bad per say just felt kind of lazy. I totally respect people have those connections to all Disney films. None of them are outright bad movies at least to me. There is something good about even my D rated movies. Anything that goes back to your childhood is always especially powerful even if you know it isn’t perfect. I get that . I think the movie is a little bit overrated…I like it, but objectively it is very “safe” especially considering the story it is based on. There is also no character development for Mowgli. The only reasons he finally agrees to leave the jungle (even though the danger is over) is because of hormones. (and god, I hate the stupid song! Not the melody, but the lyrics. Yeah, thank you for telling little girls exactly where their place in life will be….NOT!!!!). I so agree on that darn ending and how he goes all cross eyed hypnotized by her singing about cooking all day. Sigh…Especially after Baloo almost died protecting him but a pretty face and he’s a mummy. Irks me too! Before my love of sci-fi and fantasy, animals were my first big obsession when I was little, so films like ‘Dumbo’, ‘The Lion King’ and ‘The Jungle Book’ were my cup of tea. 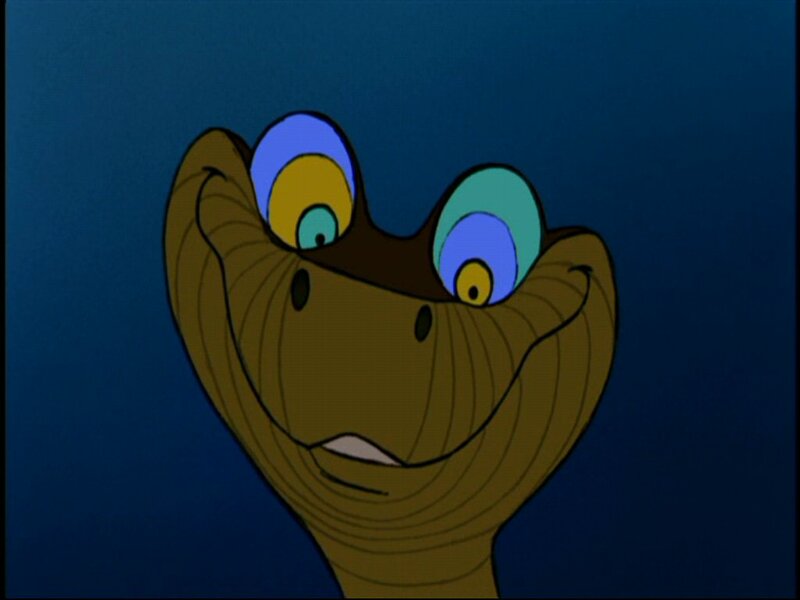 While ‘Dumbo’ and ‘Lion King’ were much heavier on the story and emotions, I found ‘Jungle Book’ much easier and more entertaining to watch, and still do today. I do think Mowgli is rather under-written and the ending was way too rushed, and I still think the Wolves should have been more involved, including Mowgli’s mother Rhaksha who was a force to be reckoned with. I was really gobsmacked when Doug Walker wrote off the film as just “okay”; the animation is probably the best Disney produced in the 60s, the Sherman Brothers songs are just as fantastic as usual, and characters like Bagheera, Baloo, Louie and Shere Khan are still remembered for a reason after all! When I read the Kipling book I was shocked at how different and much darker it was, that story in of itself would make for an incredible movie and I think Andy Serkis could deliver on that, even though I still immensely enjoy the 90’s live-action film with Jason Scott Lee, and I’m looking forward to the Jon Favreau film, despite Disney’s mixed track record. I was practically raised with The Jungle Book, so it’s hard to imagine it being awful, and I still maintain that the 90’s film has its own sense of charm. We are on same page on this one too. It’s a loose adaptation to say the least and really an excuse for great songs and likable characters. It is also the sketch era so the animation at Disney in general wasn’t great so JB feels good for that era. I agree on some of the flaws. That’s why it didn’t get an A+. To be honest, I can’t really see Disney (past, present or future) adapting the Kipling book in a faithful way and still keep up their quintessential charm and likeability, considering how gnarly the book could get. Something like Peter Pan or Alice in Wonderland works because they both have whimsical elements to them; in the end I still very much like what we have right now. I think you are right. There is a story that Walt Disney told the animators about the book “the first thing I want you to do is not read it”. It was their own take on the basic characters and it has just enough charm and pizazz to pull it off. I think it also makes a difference when the story hadn’t been animated before. Now if they make it all dark and gritty it feels like a betrayal of what we know and love. They didn’t have that problem back in the day. I saw some of the concept art and songs from the original pitch for The Jungle Book, and I can say it looked really fascinating but didn’t really remember the songs like I remembered the Sherman Brothers tunes. With the Favreau remake coming out next year, I don’t think we should worry about that version being dark and gritty, as we seem to be phasing out of that. But the thing is, if the Serkis film is anything like the book then it needs to have that sense of darkness and mystery, but not necessarily grittiness. Essentially, if one is lighter and one is darker then the two will balance each other out. Awesome review once again! Man, I haven’t seen this film for quite a long time. I’ll need to rewatch this one soon. Yeah, I’d probably go maybe A- on this one. Not quite Disney’s best, but certainly comes pretty close. I agree that maybe the girl at the end (who’s given the name Shanti in the second film), could have been developed more. Well, on the bright side, at least we see a little more development in her in the second one. Oh, and speaking of which, if you don’t mind me saying this, I’d be curious to hear your thoughts on The Jungle Book 2 if you ever get around to seeing it. Sadly, the Lawn Gnome considered it terrible. Personally, I disagree. I’d say it was decent to say the least. But you can just be the judge on that. Like I said, I still think 101 Dalmatians 2: Patch’s London Adventure is the sequel that deserves that kind of ranking/title. Oh, and another thing. 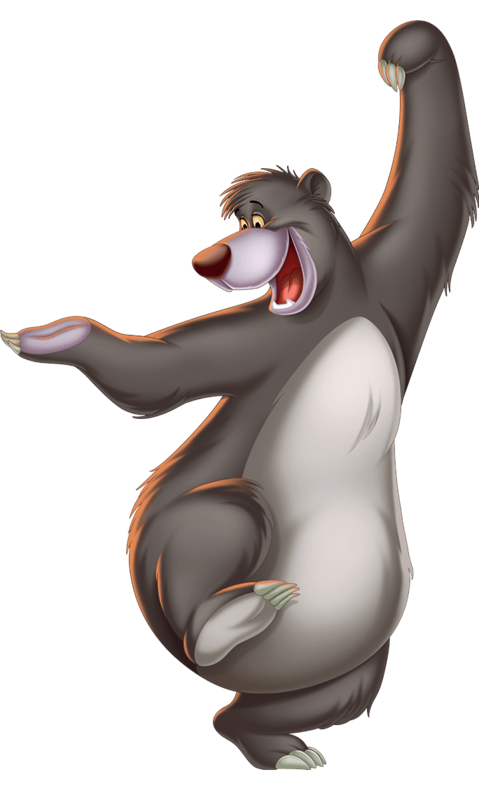 Bare Necessities is sung in Jungle Book 2, along with a Smash Mouth version of I Wanna Be Like You during the credits. Crazy, right? So yeah! I actually haven’t seen the second one or the live action versions. There are some movies where one aspect will be so strong it makes up for a myriad of other ills. So is the case with Jungle Book. It is one great musical sequence after another and has little to no resemblance to the Rudyard Kipling novel (By Disney’s design). 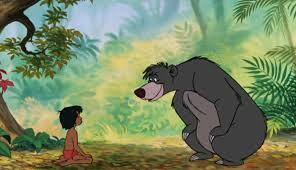 I like the moment of connection between Mowgli, Baloo and Baghera. It’s great and in away it is kind of like Alice in Wonderland with a whole bunch of fun characters and adventures after another. The ending does bum me out but what can you do? I certainly hope they change that in the live action. The worst of the sequels to me is Hunchback 2 but I certainly don’t care for the Dalmatian one either. One of these days I will post my best of the sequels but it’s basically Cinderella 3 and the Mermaid movies. That’s about it for me. Anyway thanks for reading my review and commenting! You’re welcome! Yeah, I wasn’t big on Hunchback of Notre Dame 2 either. That is, aside from the fact that Quasimodo finally gets married and what not. Really, I gather you apparently did see 101 Dalmatians 2: Patch’s London Adventure then, eh? And you said you weren’t a big fan of that one too? Well, glad to hear we’re on the same page for that too. Yeah, I saw at least Little Mermaid and will say it was alright. I still have yet to see Ariel’s Beginning. Glad to hear of someone who liked it though. I’m just a Little Mermaid nut! Wow, I meant I at least saw Little Mermaid 2 and thought it was alright. I definitely loved Little Mermaid 1, I’ll tell you that. Yeah the sequels are lame but I guess I like even a lame Little Mermaid. Pingback: Jungle Book Trailer Review | Reviewing All 54 Disney Animated Films And More! Hey, so you might think this a stupid idea, but I’ll go ahead and bring it up anyway. Well, I’m just curious, since the new live-action Jungle Book comes out next year, what would your thoughts be on possibly doing a Jungle Book project and review most, if not all, of the Jungle Book films that have come out thus far (except for of course this one since this one’s already been reviewed). However, I mean if you were to review Jungle Book 2, the live-action Jungle Book (from 1994), The Jungle Book: Mowgli’s Story (1998), and possibly others that might already be out, what would your thoughts be on that? Just a thought! Remind me next Spring when it gets closer to the new movie release. Could be fun! Agreed! How about I remind you again around maybe mid to late February, if that’s not too soon? Awesome and thanks! I’m glad you like the suggestion. In the “Trust in Me” scene, just when Kaa is about to eat Mowgli, he gets interrupted by Shere Khan, although it’s only because Khan wants Mowgli for his own meal. Actually, there are bears that are natural to India. They are called Sloth Bears, but I highly doubt Baloo is a sloth bear. You are correct on the Orangutans though. I dont know what to tell you. My friend who is an expert on these things told me the sloth bears were in Vietnam not India. He has a phd and is pretty well versed on such things. “The common sloth bear in India, their distribution is patchy, and mostly occur in areas of forest cover. Sloth bears are the most widespread bear species, in India, being found in the Siwaliks(also known as Pakistan. )” I could give you more sources if you’d like. It’s not a big deal, maybe you’re friend just got confused. I had to do a paper on the sloth bear, that’s why I know all that stuff. Sorry if I offend you. Oh and good news I just found out what kind of bear Baloo is. He is an Asiatic Black bear. They live in India, Bhutan, and Burma. They’re cousins of sloth bears. I think the main reason I find this such a wonderful movie is in the music. It is perhaps the subtlest score in all of the Disney canon- thematically, that is. ‘The Bare Necessities’, while having a fun, jaunty tune, also explores a surprisingly complex philosophy, that there is a sense of true purpose to any attribute of nature, to be obtained in the form of an undemanding attitude toward life. It is absolutely delightful. ‘Trust in Me’ is sinister, and somewhat alluring, and Sterling Holloway’s delivery is brilliant. ‘That’s What Friends Are For’ is delightful and charming, and explores themes of what camaraderie really means. Disney has attempted to create songs exploring themes of friendship outside of this, but rarely with the Vultures’ unpretentious, barbershop tune. And ‘I Wanna be Like You’ is staggering, in that Louie’s motives are so subtle and ominous. His insinuations about his motives to gain mankind’s most valuable tool are utterly stunning in how sinister his motives are. it is probably one of the top 5 greatest Disney songs. Also, the film is damn entertaining, in an unpretentious, jubilant manner that celebrates the best qualities in any Disney film. What a great movie, regardless if it’s animated or not! I couldn’t agree more. Did you see the new one? 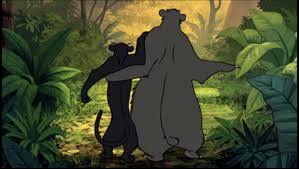 Only part i’ve seen are Bare Necessities, which Bill Murray does a decent job with, and I wanna be like you. Why Christopher Walken? !